Many of us have recited the simple dinnertime prayer: “God is Great, God is Good. Let us thank Him for this food. By his hands we all are fed. Give us Lord our daily bread.” Right? “God is Great, God is Good!” But sometimes life is not. Or how about this one? “God is Good, all the time.” Yea, but what about when it seems he’s not? This is my journey over the past year, and the challenge to praise God in the storm. “Excuse me? What?” There is nothing that could ever have prepared us for that moment. I immediately start crying…but are these tears of joy, of happiness, shock?? Who knows? I look over at my husband and oh man I wish I could have recorded his expression. True and utter shock. The rest of the appointment is a blur. We’ll have to transfer to a high-risk perinatal clinic for the duration of the pregnancy. We’re launched into a glossary of terms. Our twins were classified as monochorionic- diamniotic. Meaning, we knew right away that they were identical twins, even though we didn’t know the gender at this point. We knew that they shared a placenta, which placed us in a high-risk category, as there are many complications that can ensue. In short, it was NOT a fun 9 months. It felt like we spent more days in doctors’ appointments than not, and each week that progressed our pregnancy became more and more high risk. By 18 weeks our high risk pregnancy got even higher, as we were progressing towards a condition known as twin-to-twin transfusion syndrome. We were told the next few weeks would be pivotal– it could be nothing, or it could warrant surgery to literally split the placenta, or prompt early delivery, or worse. This condition was dangerous for both (we found out they were boys! ), and without treatment we could lose both. We were told there was nothing for us to do besides wait, and oh, maybe eat more protein. Cue consuming massive amounts of protein shakes. At 22 weeks, things got worse and we were told to pick our surgical center in order to split my placenta. We spent the next few days researching surgical centers across the country, praying, and eating lots of protein shakes. Surgery, though our best option, didn’t have great outcomes. There was only a 70% chance both twins would make it home. At our appointment the following week, I can only describe it as a miracle when I tell you our fluid levels were 100% identical and surgery was no longer warranted. So, the docs shook their heads, confused, and just kept on monitoring us. By 24 weeks, we had passed the highest risk window for twin-to-twin transfusion syndrome. But now, with an apparent growth discrepancy between our boys, we were instead diagnosed with Selective Intrauterine Growth Restriction (SIUGR). Our twin A was not getting the nutrients he needed, and not growing well. At this point in the pregnancy, they told us the best option would be early delivery. They would wait as long as they could to deliver, but we were to expect delivery by 30 weeks at the latest. The days passed slowly, but we were grateful for every day these boys kept “cooking.” In the meantime, we kept praying and my body kept growing exponentially. Soon we made it to 28 weeks, then 30, then 32! (Remember, normal gestation is 40 weeks!) By 33 weeks, I was the size of a whale, my ankles were so swollen I wore compression stockings all day, my walk turned into a waddle, and I was running out of room in my belly. I spent hours upon hours in doctors’ offices each week; my sleepless evenings were spent googling stats—What were the chances of survival? The chances my babies would have neurological impairments? How early would I deliver? How long would their NICU stays be? I plastered a smile on my face as all the old ladies in the grocery store would say, “Oh my heavens, TWINS!! How WONDERFUL! You must be OVERJOYED!” And the countless questions- “Do twins run in your family? !” (No). “Were they conceived naturally?” (Why is that your business?) I didn’t want to be around my pregnant friends whose biggest issues were what color to paint the nursery. I didn’t want to join a support group for other twin moms only to hear about their complications and NICU stays. I just wanted a normal pregnancy. I felt like God said, “Too bad. Trust me. My plan is greater than yours.” I dug in my heels and said my plan was better, God. God is good, all the time, right? Yea, but what about when He seems not? What was the point of this battle, God? After a few scares at 33 weeks, the docs decided at 34 weeks that these buggers were safer out than in. Baby A had stopped growing, and it was go-time. A C-Section was scheduled for the next day. We went home, packed our bags and prepared to become parents. God decided to give me another good laugh. I needed the reminder that, nope, I still wasn’t in control. We got to the hospital only to find out we couldn’t have our babies today since there was literally no room. The NICU was literally at capacity. I kid you not–there was no room in the inn. Remind you of another birth story? So, the docs admitted me, said “sleep tight” and sure, we would try again tomorrow. Long story short, God decided the next day, November 7, would be a good day to have these babies–and we had our C-section without complication. The End, right? Well, not quite. But the rest will be saved for another blog…. But Asher and Everett are now the best addition to our lives. God taught me a lot in this 9-month journey. First, not every woman’s pregnancy journey is joyful. Be mindful of that. (Now I know a lot of women struggle with infertility, and would give anything to become a parent. And I don’t understand God’s reasoning behind those struggles, either. But I’m not going to get into that today.) But I know for me, it was difficult to slap on a smile day in and day out when this is NOT what I had signed up for. I struggled a lot to brush off insensitive comments from strangers, friends, and family. Sometimes I just shut them out because it was less painful. 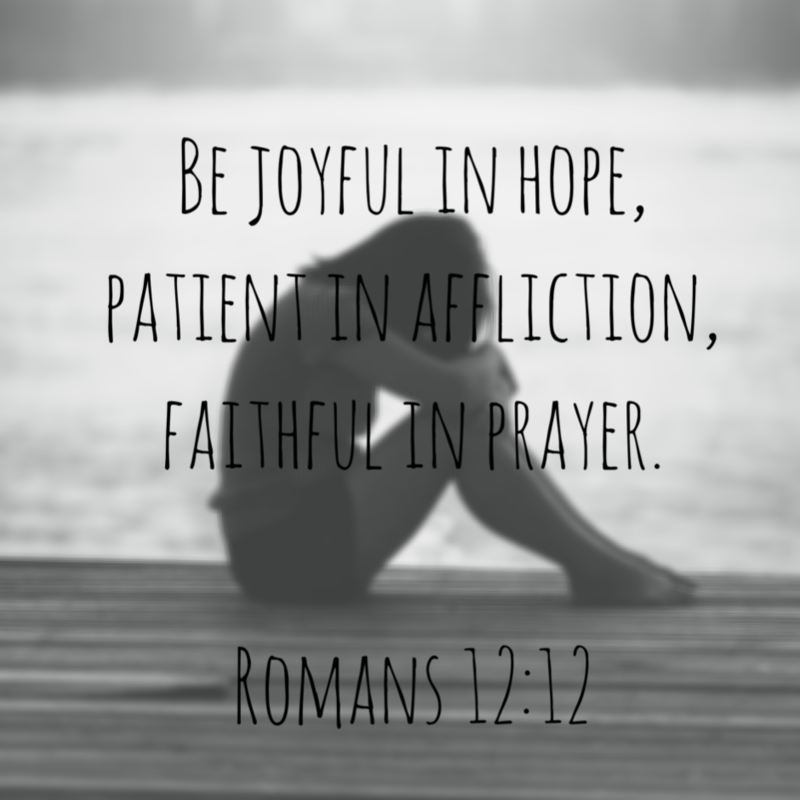 One of my favorite verses that is hanging up in our living room is, “Be joyful in hope, patient in affliction, faithful in prayer.” (Romans 12:12, NIV) I tried to keep that as my mantra in pregnancy, and now in parenthood. Third, it’s really easy to praise God in the sunshine, but a lot harder to praise Him in the storm. I spent a lot of time in prayer, begging for healthy babies, and then gave a huge prayer of thanksgiving when we made it over the next hump. I wonder all the time where my faith would be if the outcomes were different. Could I still praise His name? I still really struggle with this one. One of my favorite verses during this time was Daniel 3:17-18—”If we are thrown into the blazing furnace, the God we serve is able to save us from it, and he will rescue us from your hand, O king. But even if he does not, we want you to know, O king, that we will not serve your gods or worship the image of gold you have set up.” It’s not an easy one, but I prayed hard for “and even if He does not” to be my truth. Fourth and final, God is bigger than the stats. I’m a numbers person. I wanted to know percentages at each step of the way. What were the odds we would make it through unscathed? But God is sooo much bigger than that. God creates life, and I was limiting Him to surgical odds. You can’t place limits on the creator of the universe. So, in the end, God is Great, God is Good. But sometimes life isn’t. My hope and prayer for you is that through the storm you can remember that God is Good. Sarah lives in North Carolina with her husband and enjoys connecting with God through nature, worship, and community with others. For more inspiration, you may enjoy listening to one of our Bible studies. Tune in to your favorite radio station, listen to our podcast on iTunes, or listen through TuneIn or Stitcher online radio. Your story is beautiful Sarah and one filled with faith and hope. MayGod bless and watch over you and your beautiful family! With love and best wishes!